FLOATING OIL CANDLE and FLOATING CANDLE HOLDER makes a Charming Lighting Accent for Special Occasions, Patios, Gardens and more. 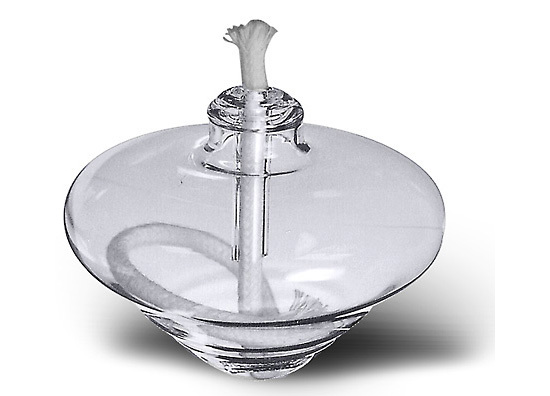 FLOATING GLASS CANDLE HOLDER uses standard tea light or warming candle. Has 1-3/4" opening. Meas. 2-1/2" dia. 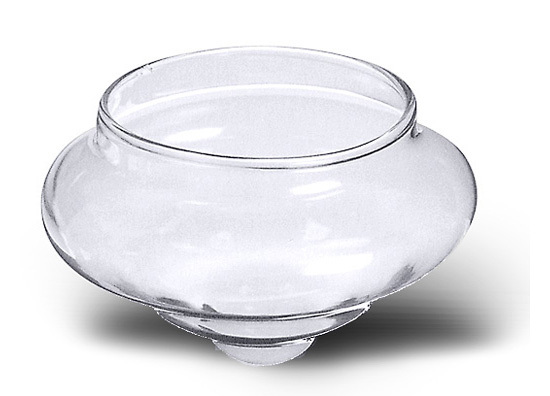 x 1-3/4"H.
FLOATING GLASS OIL CANDLE includes 4" fiberglass wick. Meas. 2-1/2" dia. x 1-3/4"H. Will burn approx. 6 hrs. on 1 fl. oz. of oil w/min. wick exposed.